As a diehard Florida Gators fan I grew up pulling against Bobby Bowden and the Florida State Seminoles. To me, the perfect weekend included a Florida win and a Florida State loss. I used to hear that Coach Bowden was a Christian. But to be quite honest, in my mind it was hard to accept that someone could be both a Christian and a Seminole. It seemed that the latter meant he was living in sin. In all seriousness, it was always hard not to like Bobby Bowden. He was the epitome of class on the sidelines, and he graciously handled his termination from FSU (he has more wins than any other major college football coach, and he coached on a field that was named after him; how can you fire a living legend?). A few years ago Georgia coach Mark Richt told me about his salvation; he confirmed the rumor that I had heard. A football player at FSU was murdered during a bye week, and Bowden took the opportunity to tell his players that they needed to be right with God because their moment could come any minute. Richt, who was an assistant at FSU at the time, went into Bowden’s office and gave his heart to Christ. He went on to say that if he were told to stop talking about Christ in front of his players then he would have gone “underground” and done it anyway. 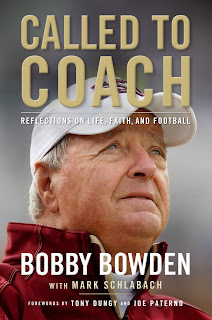 The book is not only an autobiography (complete with pre-game speeches and scores from his 5+-decade career), it is also a treatise about the faith of Bobby Bowden. 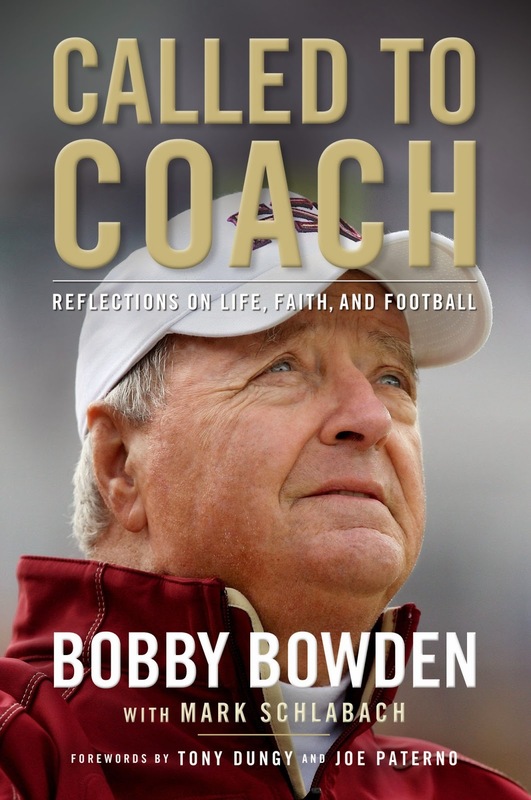 As the name of the book suggests, Bowden feels like God called him to coach, much as He calls others to preach or be missionaries. When Bowden was a boy, there was a time when he was sick and was presumed to be dying. He promised God that if He healed him, then he would serve God for the rest of his life. 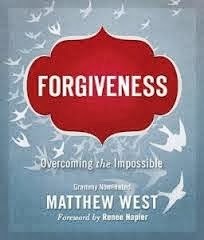 Dove-Award Winning Christian artist Matthew West has written a wonderful called Forgiveness. 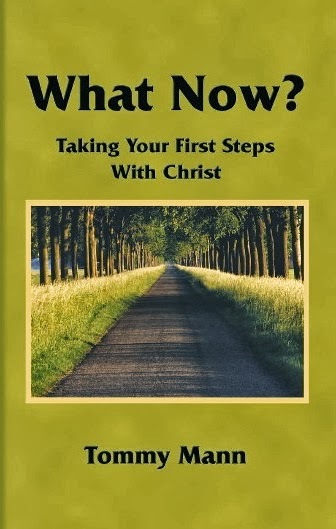 This book is based on his hit song by the same name (which is currently nominated for Dove Song of the Year). West invited his fans to submit stories to him for inspiration in his song writing, and that led to his album The Stories of Your Life. One powerful story was submitted by a lady named Renee, and her story led to the song “Forgiveness,” which was saved for West’s next album. Renee recounted how a drunk driver killed her teenage daughter and her daughter’s best friend in a car accident. Anyone would understand if Renee chose to respond in anger, bitterness, or hatred, but instead she chose forgiveness. The drunk driver was convicted and sentenced, but eventually Renee and her family petitioned the judge for his early release. The man has turned his life around through the power of forgiveness, and today is a believer in Jesus. Tommy Mann Ministries was begun in 2009 with the release of my first book All the Law. Writing has always been about ministry to me; it is a way to spread the message of Jesus. I never wanted to make money off of writing, so I found a way to give back everything that comes in. Now, a few years and a few books later, I wanted to give an update on what the ministry has been doing. One of my biggest passions has been fighting for the unborn, but it does no good to convince a woman to keep her baby if we do not help her keep her baby. Because of this, a top priority of this ministry has been supporting crisis pregnancy centers. We routinely supply diapers, wipes, baby food, clothes, monetary donations, and other items to pregnancy centers. Aside from pregnancy centers the next biggest ministry has been behind bars. TMM supports Angel Tree Ministries, which provides Christmas gifts for the children of incarcerated inmates. Prisoners fill out request forms for their children, and Angel Tree makes it happen. We sponsor several children each year. We also minister in the prisons by supplying materials to be used either by chaplains or for inmate-led Bible studies. Every blog and devotion from the website is sent out; we also provide Bibles, Bible study books, and other materials. We also have supported organizations like St. Jude Children’s Hospital, The March of Dimes, and other needs as they have come along. Through the Rachel Dowd Book Sponsorship Program, we provide free copies of Asleep in Heaven’s Nursery to people who have recently lost small children. Finally, I have stayed true to the promise I made to Philippi’s deacon board when they voted to approve this new ministry: one dollar from every book sold has been donated to Philippi’s building fund. When What Now? is released, it will be another chance to do more. This is not a bragging blog; none of this would be possible without the donations, customers, and supporters of this ministry. Your giving has allowed this ministry to be a part of great things, and I just wanted to let you know what we have been doing. Labels: All the Law, Asleep in Heaven's Nursery, What Now?, Where Did Jesus Go? Many times we as the church have been guilty of celebrating when a person chooses to follow Christ, but then we fail to teach them the basic things they need to know. We present the new convert to the church and the church claps, shakes hands, and hugs this new Christian. 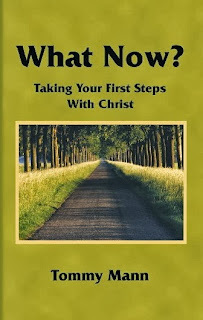 But that new Christian is often left to fend for himself and figure out the next steps the Lord wants him to take. What Now? is now available here. Not only is this doll wearing a half shirt, but that is the shortest skirt I have ever seen on a toy. This doll is showing more “skin” than she has covered up, and the article of clothes with the most material are her socks. This was not in an adult toy store or with the pre-teen stuff, but on the same aisle where my 4-year old finds cloth replicas of cartoon characters. What is wrong with us? I wonder how many fathers were shocked over Miley Cyrus’ VMA performance, but would buy this doll for their little girls. 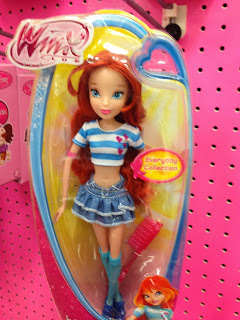 I wonder how many mothers think men are pigs for checking girls out, but they let their daughters wear skirts just as short as this doll’s (and thus, giving those pigs something else to check out). This is how we justify what we do. This is the style these days. And the message we send our kids is that these things are normal and OK. But it isn’t normal to “twerk” in front of millions of people; it isn’t normal to ride naked on a wrecking ball. It isn’t normal to leave more uncovered than covered. But we’re telling our kids that it is. This is the problem in our country. This is why Christians are leaving the faith: We give them a Christian worldview on Sundays, but give them a secular worldview the other six days of the week. What we produced is a generation that has no problem calling themselves Christian while living like the devil. This did not come from professors or the “wrong crowd;” it came from compromising parents sending mixed messages to their children. Parents, I beg you to evaluate the message you are sending your children. We are not perfect, and that is not what I am calling for. But we need to strive to set a clear, consistent example of godliness. I would rather my children be right in God’s eyes than in the world’s eyes. That means we might have to say no to the dress, or in this case, the complete lack of it, on the doll.